If you have an account on Goodmoves you can shortlist jobs you are interested in. Are you passionate about serving those in our communities who are struggling with debt and isolation? Do you want to grow in your faith and help others to live out the mission Christ has given us? Are you able to lead and develop an established ministry in a local church? 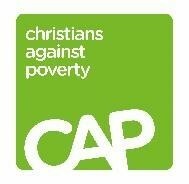 St Stephen’s Comely Bank Church Edinburgh is looking for a new manager to run the Edinburgh North CAP Debt Centre. The nature of the work and the ethos of the organisation require the post holder to have a genuine and active Christian faith and commitment. If you sign up you'll be able to save notes on active jobs. 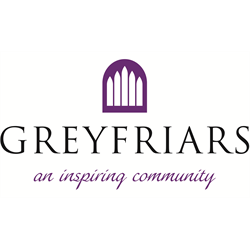 The Duty Manager assists with the management of events at Greyfriars Kirk mainly at weekday evenings and weekends. Events are usually when the Kirk is used for events such as rehearsals, concerts, wedding receptions, social events, recordings or exhibitions. You will be responsible for the safety and security of the Kirk and occupants. You will be practical, confident, think on your feet, answer questions and deal with issues as they arise. Pay is £11.56ph (minimum 4 hours). This is a stand-in role when the Beadle is absent/on holiday – a minimum of 6 Sundays per year. The key responsibility is to offer a supportive service to the Ministry Team to facilitate all practical aspects of services of worship in a respectful and dignified way. You will be required to attend the Kirk’s core Sunday services when on duty: weekly at 1100 and 1230; monthly at 0930 and 1900 Refugio. You will be responsible for the safety and security of the Kirk and occupants. You will be practical, confident, think on your feet, answer questions and deal with issues as they arise. The Salisbury Centre is looking for a Centre Manager to join our team to run and continue to develop the Centre. 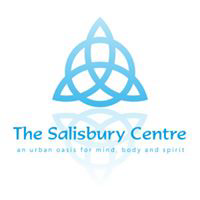 The Salisbury Centre is open to all who want to develop spiritual life. We provide a range of body, mind and spiritual practices in a non-denominational environment to enable people find a way towards inner harmony and wellbeing and an active care for the wider community. In 2018 we agreed a 5 year business plan to assure the ongoing viability of the Centre and we are soon to commission work on a large building refurbishment project. We recently received almost £200K funding for a 2 year environmental project. We are looking for a candidate who has an interest or experience in creative spiritual practice, meditation, or psychotherapy or holistic therapies, as well as having experience working in the third sector in a strategic management role, leading a team of paid and volunteer people. A Job Description and Person Specification are available for download below. QPBC is about the launch “The Point”, our new bespoke centre for community outreach. Following a major redevelopment our building in Queens Drive has been refurbished to create a base for church-initiated, community-focussed projects and partnerships and to host neighbourhood projects and events. Our desire is to see our community in the south side of Glasgow impacted as we contribute to social transformation and point to Jesus as the source of lasting change. Growing Healthier People – developing a place of wellbeing. Building Stronger Families – developing a place of nurture. Welcoming disconnected people – developing a place of inclusion. Building Skills for Life – developing a place for learning. committed to seeing his kingdom life in all its fullness reach new places in our community and city and have an ability to relate to people yet to encounter Him. We are looking for a make-it-happen person who can spearhead new initiatives and forge strategic partnership in church and community. We are looking for a team player who can manage and mobilise volunteers. We are looking for a person with a heart for working with people from all backgrounds. We are passionate about offering a distinctly Christian approach and contribution to our community embedded in and in expressed from a church with a vision to “Call a City to life”. So, an Occupational Requirement for the post holder to be a Christian has been established in accordance with the Employment Equality Act. Applicants should have and be able to evidence an active Christian faith and commitment. The post holder will be expected to come in to membership of Queen’s Park Baptist Church if they are not already. Goodmovers 18/04/2019 - who has a new job?